Yes, text message marketing works. But it doesn’t work for everyone. Some people think that they know it all and know how to send text message marketing the right way. The thing is they really have no idea and end up causing their business more damage than good in the end. Not everyone is as enthused about the opening of your business as you are, and while they may not mind receiving a text message from you, there are a few things you can count on they don’t want. Learning how to send text message marketing the right way is an essential step in a successful campaign. The first step in learning how to send text message marketing the right way is to determine what your goals are in the campaign. Do you want people to do something specific, like sign up for a list or make a visit to your store? Your SMS campaign should reflect this. Each message that you send should be interesting and engaging. There are many ways in which an SMS campaign can be used, however, these message should all provide engaging content that the recipient will want. What is this? A restaurant can send an offer for a free dessert when you dine in on Monday night, a night that is oftentimes show for a restaurant. Your nightclub could send a message offering a free drink before 10 p.m. on a slow night. Furthermore a supermarket could provide special deals on bakery items before a specific time or an auto care center could offer a special Del for an oil change. Since text messages limit the number of words that can be used in the message it is imperative that you use your words correctly. Make sure that all of your SMS marketing messages are engaging and thought provoking while also including a call to action. The number of messages that you send is also important. You do not want to send so many messages that you are spamming people, nor do you want to send so few that people forget about you. So what is the right balance of messages? A good rule of thumb is to limit your messages to once per day, or once per week, depending upon how you choose to send your messages. Any more than this may annoy the consumer and cause them to opt out of your program. Speaking of ‘opt’ make sure that all of the names that you are marketing to via sums marketing are people who have ‘opted-in’ for the offers. You will save yourself time by ensuring that you are targeting only interested individuals. Also make it just as easy to opt out of your program as it is to opt in. consumers have the right to change their minds and they shouldn’t go through hell and high water to make this happen. Text message marketing is the way to market of this generation. 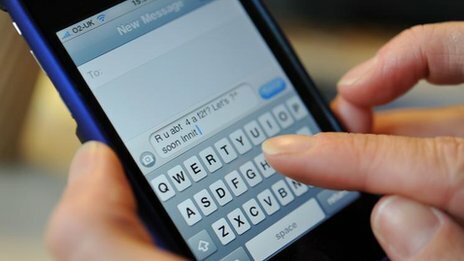 Everyone has a cell phone these days, and most of those people utilize their text message service. Being able to reach those people in real time with your offer enables you to get more traffic through the door, build your brand and so much more. SMS marketing is the way to benefit your business, no matter what type of establishment you are running! Restaurants, theaters, museums, churches –everyone can benefit with the use of SMS marketing. Make sure that you understand SMS marketing and there is no question that you will also understand how to send text message marketing that really works!